In Part 2 of this series, Campaign Creation, you learned how to access your Ads Manager and select your campaign objective (“traffic”). You are now ready to set up your audience, select your ad placement, and determine your budget. According to the 2016 NAR Profile of Home Buyers and Sellers, the average homebuyer is between the ages of 32 (first-time buyer) and 52 years old (repeat buyer). 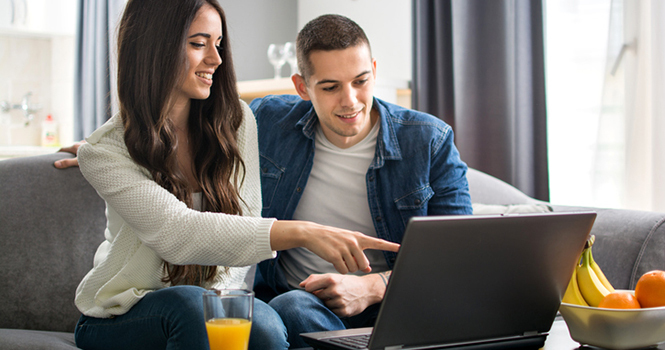 You’re probably wondering, “Why is this information useful?” This is the average age of homebuyers across the nation, and should be considered when selecting your target audience. When creating your ad campaigns on Facebook, choosing the proper audience will affect how well your campaign will perform. Keep in mind, depending on the market you are in, your local market will change slightly from the figures listed above. To begin setting up your audience, you can choose to either create a new audience or use a saved audience. 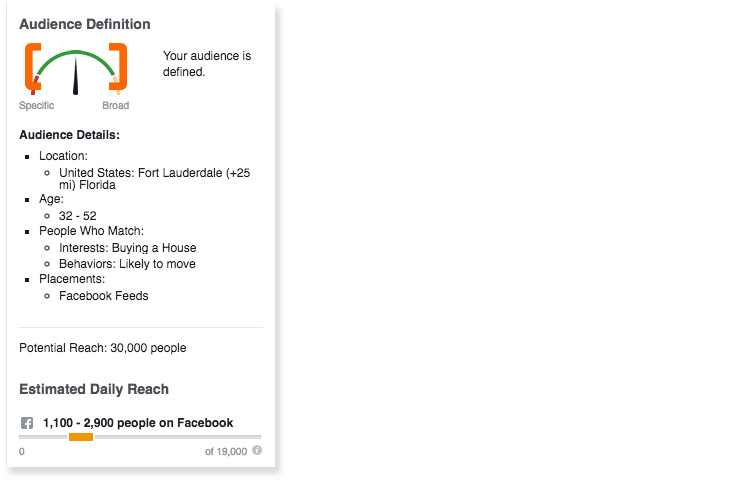 For this purpose, we are going to create a new audience based off an active listing in Fort Lauderdale using some of the demographics mentioned above. Start by selecting the location you want to target. This is done by typing the name of your location (e.g., Fort Lauderdale) or by typing in a specific zip code. 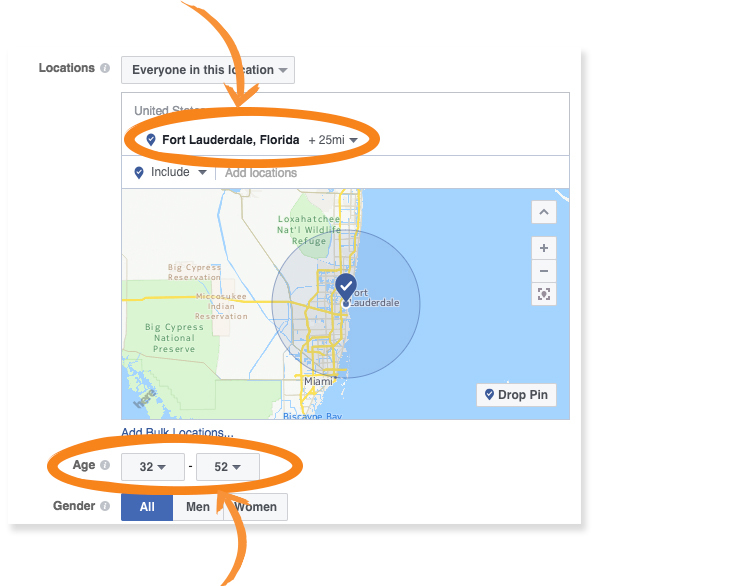 You can even manually input and exclude locations from the search to get hyper-local. Next, select the age range and gender of your desired audience. If you would also like to target using your audience’s preferred language, input the languages in the field provided. After the location section, you will find what is called “Detailed Targeting.” This section is where you narrow your targeting by inputting demographics and interests and/or behaviors, such as “Looking to move.” There is no limit to how many you can add, but do not make your search so narrow that it doesn’t reach as far as it should and thereby limits the number of people who will see your ad. Once you are done selecting your audience, you will have the opportunity to save it for future ads. The placements section controls where your audience will see your ads. 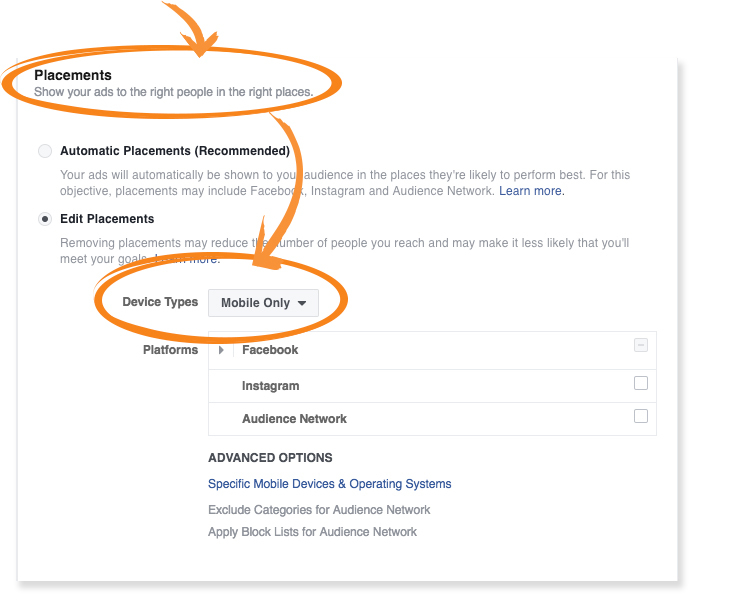 You have the ability to choose between “Automatic Placements,” which are recommended by Facebook (and probably the better option for those new to ad creation), or “Edit Placements.” If you decide to use “Edit Placements,” you can pick and choose between devices used (mobile and/or desktop) and social platforms (Facebook, Instagram, and/or your Audience Network). For beginners choosing to edit their placements, we recommend always showing it on mobile. The majority of people that use Facebook tend to use their mobile devices. This will ensure that more of your audience has the opportunity to see and engage with your ad. When selecting your budget, you have two options: daily budget and lifetime budget. Setting a daily budget will charge you a specific amount each day. When you select a lifetime budget, your total dollar amount will be split evenly on a daily basis (with a potential 20 percent daily increase/decrease, but never exceeding the total lifetime budget) according the start and end date of your campaign. 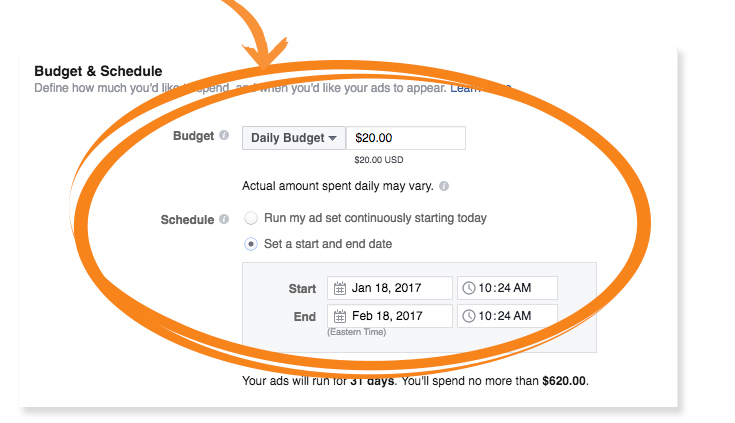 Under the scheduling option, you can choose to run your campaign continuously until you manually end it, or set a start and end date. 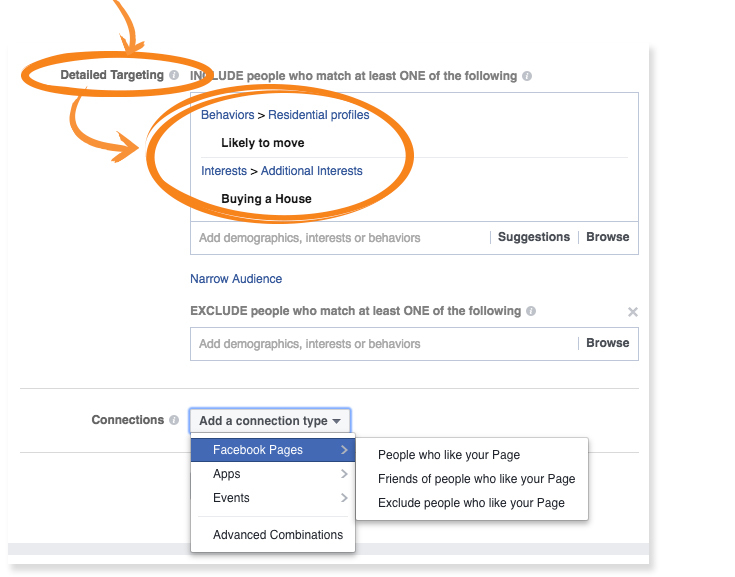 While you input your “Ad Sets,” Facebook will continuously update you on how broad or narrow your selected audience is by providing you with a speedometer chart. Try to stay as centered as possible within the green gauge. The “Audience Definition” will also predict your ad’s potential reach on a daily and lifespan basis. With a lifespan of one month and a $20 daily budget, the campaign created above will have potential lifetime reach of 19,000 people (1,100-2,900 people daily). Once you have narrowed your target audience to those most likely to engage, it is time to start thinking of the type of images you are going to use to reel them in. In the fourth part of this series, we will explain how you can add images and videos to your ad and explain the different formats available. We will also help you understand the results of your campaign. If keeping up with your social strategy is too much for you, let us help! Homes.com Social Fuel takes care of your social strategy by providing you with everything from account setup, post creation, engagement, and Facebook ad management. We will even manage your online reputation and monitor how your business ranks in search results, so you can focus on selling real estate.